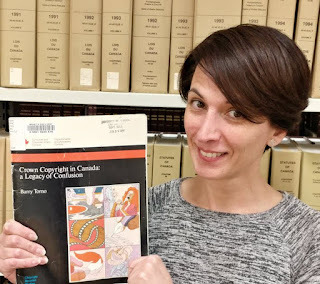 After multiple years of experiencing difficulty gaining permission for institutions like the U of A Libraries to digitally harvest and distribute publicly accessible government documents for research and study, Wakaruk has channelled her observations and angst about Crown Copyright into a House of Commons e-petition, sponsored by Saskatoon West MP, Sheri Benson. The premise of the petition - that information created and published by a government should be accessible to its people - is not unusual. In the United States, federal government publications have been in the public domain since the 1890s. And although the United Kingdom has retained its Crown Copyright provision, the provision has been updated and the country allows broad use and sharing of most public government publications under the terms of an Open Government Licence. Canada’s equivalent federal licence is more restrictive and applied inconsistently across government agencies. 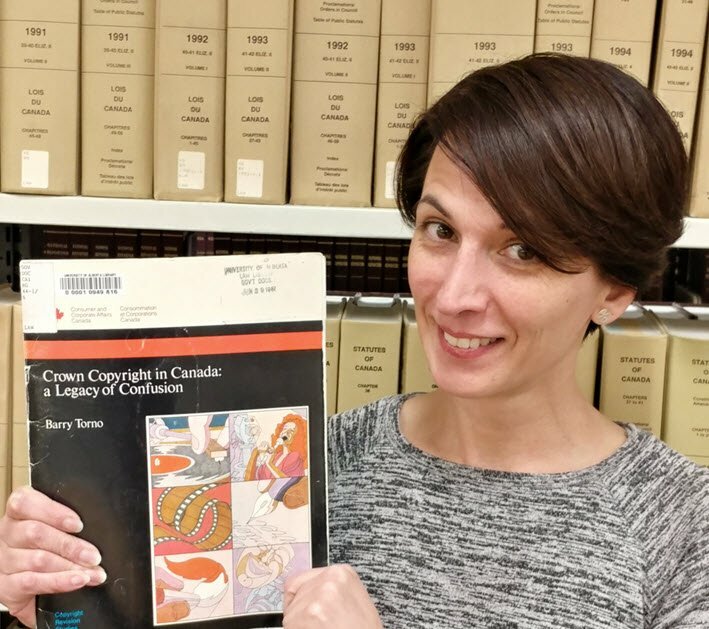 In Canada, Crown Copyright remains a significant barrier for institutions and individuals who need to use and reuse Canadian parliamentary proceedings, government reports, press releases, and statistical publications. Researchers and librarians are frustrated by the inconsistent interpretation of section 12 by government employees and by having to ask for permission to use these works in ways that should be not only allowed but encouraged in a liberal democracy. The solution to fix Crown Copyright is simple: the petition calls for the addition of a clause (12.1) that removes copyright protection for government works once they’ve been made publicly available. Wakaruk sees an important role for librarians in critiquing government information policy and how it affects the public good, and she’s not alone. Her petition is being supported by organizations and individuals from across Canada, and had gained over 1000 signatures at the time of this post. For more information about Crown Copyright, and to view the e-Petition, which closes on September 23, visit www.fixcrowncopyright.ca. More information about Amanda’s work on this issue can be found here: https://sites.google.com/a/ualberta.ca/wakaruk/presentations.